A secret commune is ripe ground for character conflict, and it’s a setting that’s been getting a lot of interest by agents on #MSWL lately. 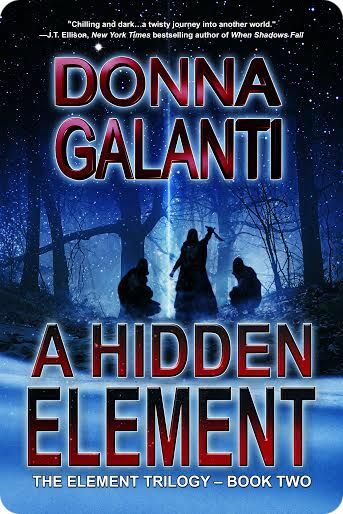 Donna Galanti is already there. 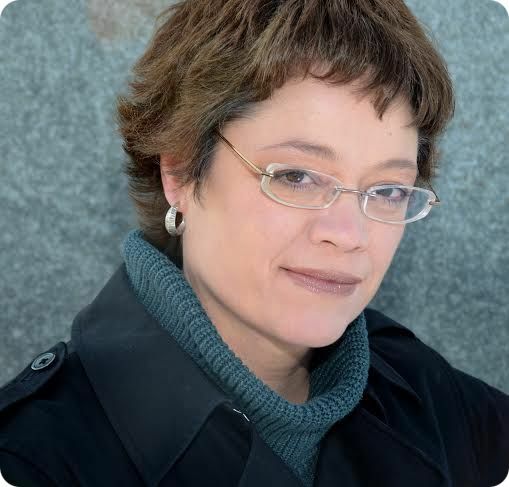 She’s with us discussing her second book in the Element Trilogy, A Hidden Element. From the synopsis, I can tell this is an exciting, intriguing world. What more can you tell us about this secret community and the unique powers of the members? Over the years this secret community hidden deep in the Oregon wilderness has swelled to hundreds, but unrest hides within the compound over forced breeding, communal living, and harsh punishments. And a pilot community amongst the outside world has failed. The community’s leader, Adrian, is driven by his hunger for power to oppress his people and lead them to someday rule Earth. With the community losing faith in Adrian’s leadership many members flee, widening the crack in this insulated compound and opening it to increased dissension–and death. Tell us a little bit about Caleb. What makes him someone to cheer on in the trilogy? He is my favorite kind of character, the tormented hero. I fell in love with him while writing him so much so that he became the main character. I loved taking him to the darkest of depths and even there, he still sacrifices his own desires to help others. He has a full heart brimming with love just waiting to be given away, yet has no one to give it to. Caleb lives an oppressed life. He has sons he can’t be a father to, he can’t choose who he loves, and he must carry out despicable acts just to survive. Yet Caleb finds he is pushed to the wall even further and must risk the very things he desires to save those he loves. Caleb is also a Watcher in a way, and Watchers are some of my favorite characters to write. Read an article I wrote about these kind of characters. Are there any paranormal creatures in this story world? There are no creatures, but there sure are some paranormal characters with creature-like features! Here are some features of the villain: milky white skin, yellow eyes, bulbous limbs, flattened nose, Neanderthal forehead, and steam shovel mouth. This is the second book in The Element Trilogy. Second books can be tricky–they’re not the set-up, and they’re not the resolution. What have you done as writer to ensure this book has the momentum to take us from book one to book three? Are there elements grafted from multiple genres in this book? Let’s imagine for a second that each book is a star in the universe. What other books would be in a constellation with yours? What image might they form? Watchers, Twilight Eyes, The Fun House, and Night Chills all by Dean Koontz. Let The Dead Sleep by Heather Graham. The Stand by Stephen King. They would form a man with his arms stretched outward, ready to claim the world, a knife drawn in his hand to fight any who resist him. If you could, which paranormal creature would you be for a day and why? I would love to be a Trickster! They get to pull pranks of people, be hilarious, and just have fun – although they can be evil in their mischief at times, but not intentionally evil. They can also be cunning and foolish all at the same time, and break and bend the rules. I am definitely a non-conformist and all about breaking the rules, so it’s perfect for me! Whose ghost would you summon if you had the chance and why? I would love to summon Roald Dahl and have a conversation with him. His books shaped my childhood imagination. Charlie and the Chocolate Factory, Danny the Champion of the World, Mr. Fantastic Fox, The Story of Henry Sugar…to mention my favorites. I would love to discuss how he wrote them in detail and about his life before he began writing living through years in British boarding schools and war. What’s your best Halloween costume ever? In high school I was in love with Tolkien’s Lord of the Rings books. I dressed up as Aragorn ‘Strider’ (or what I envisioned he would look like at the time before the movies!). Of course no one knew who I was in my cape and boots and hidden face. Then there was the time my best friend and I designed our own Alien Siamese Twins costume and were attached at the hip all night! Dean Koontz: A Writer’s Biography by my friend, Katherine Ramsland. She lives local to me and her background in psychology enriches this story into more of a psycho-biography. It’s a fascinating look into the life of Koontz. Katherine also wrote the biography for Anne Rice, which is next on my list to read! ON SALE NOW FOR JUST 99 cents! Thanks so much for having me on today and talking about A Hidden Element and a favorite topic of mine – the paranormal! Thanks for sharing. Stop by the blog anytime, and best wishes on your new release!